When you’re looking for stairs for your new building, there’s a ton of considerations to make. For instance, you need to make sure the style fits that of your building. You also need to ensure the stairs can be built to your specifications. Finally, you must ensure that the stairs are durable and will stand the test of time. Wooden stairs just don’t do all of this. While they might look beautiful in your building, they can’t stand the test of time or, many times, heavy weights. In addition, if these stairs are located outdoors, the chances of them lasting through bad weather are far less. They will become damaged and need repairs throughout the year, which will just end up costing you more money in the end. If you want to get stairs that meet all your needs, you should invest in metal fabricated stairs. Metal fabricated stairs have all the beauty of stairs made of other materials, like wood, without the cost. They are strong, elegant, and can be made to fit a variety of styles. With all of these qualifications, you can’t say no to investing in metal fabricated stairs for your building. They are especially perfect for outdoor structures, because their durability can’t be beat. Pinnacle Metal Products has the perfect steel fabricated stairs for your next project. Our experts will work with you to ensure that you get the stairs that are perfect for your building. 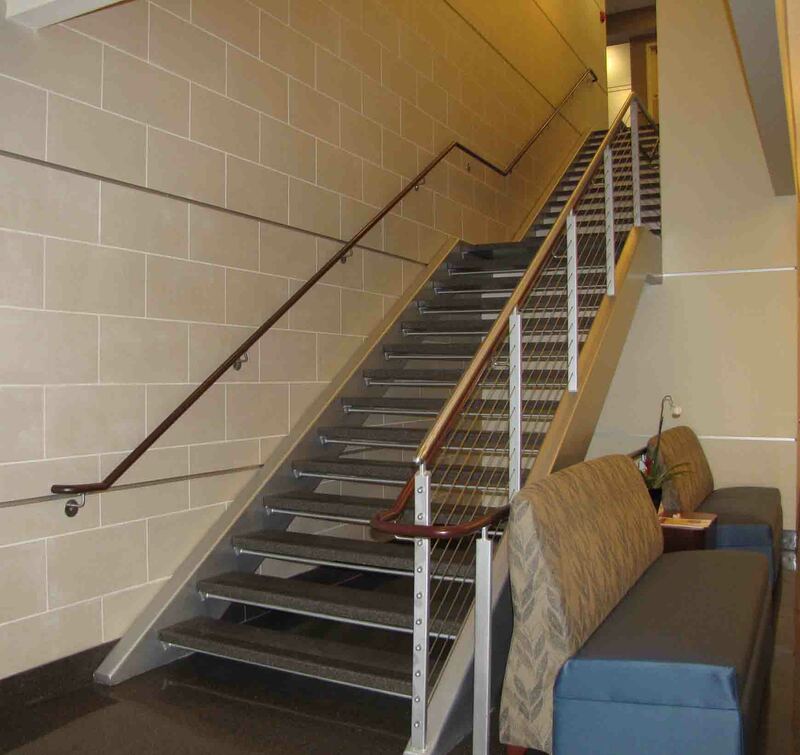 We will work with you to ensure that your stairs match the theme and design of your building. We want you, the customer, to be happy and satisfied. Instead of viewing stairs as a blight on your buildings interior, we think of them as an opportunity to be creative. So, we work towards making them a focal point that is cohesive with the scheme of your structure. Contact us today for more information on how Pinnacle Metal Stairs can get you the best metal fabricated stairs in the country!